I find there are two types of professional reading: Those that inspire, and those that are practical. Unfortunately, I find that I am hard pressed to find both in the same. These next two books fall firmly into the latter category, which are usually more beneficial for this time of year, when finding a way to not reinvent the wheel is most helpful. Working on a three part math lesson can be difficult when trying to come up with specific questions to get the students thinking, while also having thought provoking group questions, and a good consolidation at the end. Enter Marian Small’s Open Questions for the Three Part Math Lesson (Number Sense, and Measurement * Patterning + Algebra). Each book provides a big idea within the strand, and a fair number of questions for each stage of the lesson. You can figure out which strategy/big idea you want to dig down on with your students, and choose the appropriate questions to attack that idea. I have found both these books to be extremely useful in my daily practice. There are also available in the K-3 variety. 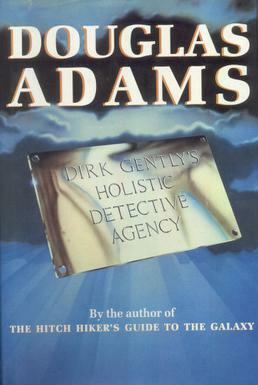 On a personal reading level, and if you are looking to preview a Netflix binge, may I suggest Douglas Adams’ “Dirk Gently’s Holistic Detective Agency“. It is alternatively mind boggling, hilarious and then confusing as all get out. And there is a horse in a bathroom. It’s a great escape!